Rent The Reef | Corporate Events | Wedding Locations, Event Spaces and Party Venues. Spectacular oceanfront venue with facilities for beach ceremonies, private banquet room with bar, dance floor, sit down or buffet dining options for receptions or rehearsal dinners. The Reef, originally called Comptons, was built by the Usina family on a beautiful piece of oceanfront property in tranquil North Beach--three miles north of the Usina Bridge--on land owned by the family for generations. Comptons opened in 1989 and enjoyed great success for the next ten years. It closed in 1999 due to the ill health of Mr. Compton and hurricane damage. 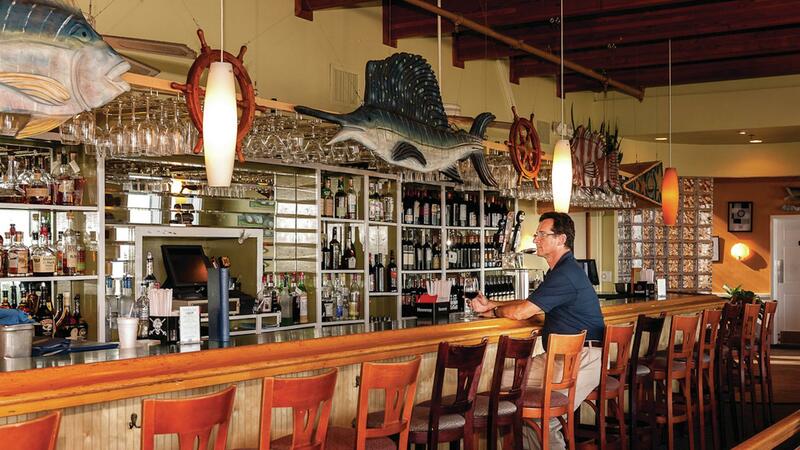 Chef Bob Henle has created a menu primarily of fish and seafood balanced with beef, poultry pasta and creative specials, always fresh and sourced locally whenever possible.